With more than 6,000 members, the American Bar Association’s Forum on Construction Law is the world’s largest organization of construction attorneys. It offers invaluable opportunities for construction lawyers to interact and learn from many of the most accomplished practitioners in the profession. The Forum has 14 distinct divisions focusing on different aspects of construction law, including insurance, surety, contract documents, design, construction delivery methods, and labor issues. It conducts simultaneous events at four different cities every fall focusing on the same issue, and it also hosts several other yearly gatherings that enable participants to learn about various timely issues impacting the industry. 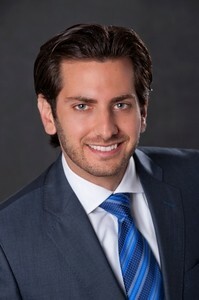 Our firm’s construction law attorneys have a long history of playing very active roles in the Forum, and partner Nicholas Siegfried is continuing to build on our legacy of involvement as the former Chair of the Young Lawyers Division of the Forum. He has had the honor of speaking at numerous events, including the Forum on Construction Law 2016 Fall Meeting in Chicago where he spoke on the legal implications associated with new wearable technology in the construction industry. He was also a speaker at the ABA Forum on Construction Law’s regional February 2016 program in Jacksonville, Fla., where he spoke about the types of damages recoverable in a construction claim as well as the negotiation of damage provisions in a construction contract. In 2017, he spoke on trends in construction defect claims as well as Chapter 558 at the National Construction Defect Conference in Fort Lauderdale, Fla.
Nicholas also served as a program co-chair for the Forum’s 2018 Fall Meeting. The event, which took place Oct. 4-5 in Montreal, was titled “It’s Lonely at the Top: Building a Successful Team with the Owner.” Together with his fellow co-chair, Nicholas led the development and planning for the meeting’s program, which focused on the best practices for building a successful project team. It presented viewpoints from both in-house and outside counsel as well as consultants on topics including project delivery methods, negotiating contract clauses, financing, insurance, and dispute avoidance and resolution strategies. Our firm salutes Nicholas for playing an integral role in the ABA’s Forum on Construction Law and the organization’s Young Lawyers Division.